These Days, Advocates Of The Free Clinic Span The Political Spectrum From Liberals To Born-Again Christians, And It's Hard To Remember That It Was Once A Revolutionary Idea. But Originall Free Didn't Just Mean 'No Charge,'" Explains David Smith, M.D., The Fiery Maverick Who founded America's first private free clinic in the radical atmosphere of San Francisco in the sixties. "It was a state of mind: the concept of care with no judgment, no hang-ups, no undue formality." In 1967, Smith, then a fledgling physician, was doing a postdoc fellowship in medical toxicology at the University of California at San Francisco. 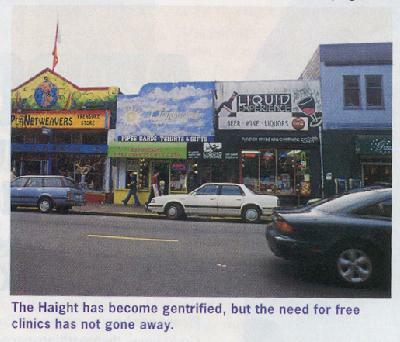 As Dr. Smith recalls, even before thousands of hippie kids flooded into the Haight-Ashbury district for the Summer of Love, "I was injecting white rats with LSD in the lab, and then I'd walk home past the Haight, where I'd see kids who were high on the same substance." Inspired by the government-funded clinics set up after the Watts riots and by the doctors and nurses who treated the UCSF Freedom Riders (who bused down south to challenge segregation), Smith proposed that San Francisco municipal officials establish something similar in the Haight. "Those kids had all kinds of medical problems, from bad trips to STDs, and no one was willing to do anything about it." Smith now concludes, "The city hoped [the kids] would just go away." Somehow the busy young doctor couldn't let the kids go down the drain. Smith, himself a recovering alcoholic, says he was drawn to them as part of Alcoholics Anonymous' 12th step: that is, to go out and help others like oneself. "Dr. Dave," as the kids called him, raised $100 with a lecture on medical conditions in the Haight, received another $350 from the pastor of a neighborhood church, and rented an office under his own name. Then he organized a band of volunteers to help him treat the Haight kids "just for the summer." Famous last words. 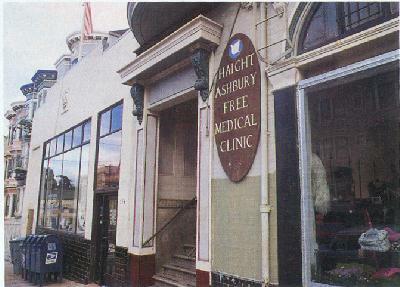 The Haight Ashbury Free Medical Clinic's lease on life was extended indefinitely when rock concert promoter Bill Graham became a supporter; benefit concerts by groups such as Blue Cheer, Big Brother & the Holding Company, The Grateful Dead, and Led Zeppelin kept the clinic going into the seventies. Intended to last one summer, HAFMC now includes 22 facilities. Meanwhile, the idea that had seemed so radical was spreading like wildfire. Within two years of the Summer of Love, free clinics began springing up in communities across America, sparking a movement. Like HAFMC, some of these early efforts --- for example, the Free Clinic of Greater Cleveland and the Berkeley Free Clinic, across the bay from HAFMC --- are still in full swing, treating thousands of people a year. The Free Clinic Foundation estimates that there are 300 free clinics across the United States, dispensing care to more than 1.3 million people a year. "At first my teachers asked me, 'Where did you go wrong?'" recalls Smith. "They thought I had dropped out of the mainstream." 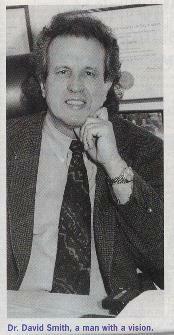 But over the next ten years, the conventional wisdom regarding free clinics, HAFMC, and Dr. Dave changed. Volunteer medicine became increasingly indispensable in the eighties, as a growing number of Americans found themselves slipping through the cracks between Medicaid and health insurance, and more and more hospitals closed their doors to the destitute. By 1990, President George Bush had honored a Virginia free clinic as part of his "thousand points of light" program. Three years later, in an influential issue on caring for the poor, the Journal of the American Medical Association endorsed free clinics and strongly recommended that all physicians volunteer at least 50 hours a year. As JAMA admonished its readership, "Physicians are more than a special class of business professionals or entrepreneurs; they must continue to embrace elementary moral objectives if they are to maintain the mantle of professional integrity....Caring for the poor is not a practice reserved for those who lack the skills to be more gainfully employed, but is reflective of the purpose of the healing arts." As much as the current medical establishment may praise free clinics, the rebels at HAFMC still don't put much faith in medicine's status quo. Smith is particularly disgusted by HMOs, which he acidly calls "the opposite of a free clinic." But HAFMC isn't bucking the government much these days-85% of its funding comes from city, state, and federal agencies. Although addiction medicine remains central to the clinic's mission, such financing allows the clinic to take on a wide variety of new issues to suit the times. Known collectively as the Haight Ashbury Free Clinics Inc., the venerable institution has expanded to five programs and 22 facilities, which provide a host of services in addition to the primary care clinic: psychiatric counseling for prisoners, urgent care at rock concerts, a drug detox center, and a residential detox program. "We see five thousand to six thou sand unduplicated patients a year," estimates Joe Elson, M.D., the clinic's medical director, who began volunteering at HAFMC in 1986 and wound up on staff four years later. There are 20 staff members and 70 volunteers, including about five physicians. Numerous residents from UCSF spend time absorbing the clinic's famous "nonjudgmental" approach to caring for the down-and-out. The critical phrase at HAFMC is "harm reduction," explains Dr. Elson. "If someone comes in with signs of IV drug use and won't give up, we'll encourage them to go somewhere for a needle exchange. A lot of abstinence-based programs just throw people out if they keep using. It's not always easy," he says. "You have to really believe in treating the whole patient and that it's better for society for them not to get HIV or hepatitis C, not to wind up in the ER." As the clinic has grown up, so has its founder. Dr. Smith, an associate clinical professor at UCSF, gives lectures all over the country on the newly emerging field of ad diction medicine and serves as an expert witness in related court cases. Meanwhile, he and his wife, Millicent (whom he met in 1977, when she initiated the first 12-step meeting at HAFMC), raised their son and three daughters in the Haight, now an upscale neighborhood of professionals living in pastel Victorians. The kids are currently 19, 20, 25, and 26. Dr. Smith continues to give about a third of his time to the clinic, serving on the medical quality assurance board and working in the drug treatment programs that remain key to the clinic's mission. He performs "dual diagnosis" at the clinic several days a week, screening substance abusers for the underlying mental illnesses and mood disorders that may prompt them to medicate them selves with alcohol and drugs. Still easily riled about the need for free clinics, Dr. Smith says, "In California, the rate of the uninsured is up to twenty-five percent. We're not talking about a small band of hippies now. We're talking about working people, retired people, people of all ethnic groups and races- it's across the board." And he stands by his original slogan: "Health care is a right, not a privilege." about volunteer doctors for Diversion. Thinking of starting some thing? Surprise! There's a lot of free advice out there. At the Free Clinic Foundation's Web site (http://www.FreeClinic.net/Foundation), you can download the manual How to Start a Free Clinic, access the foundation's National Free Clinic Directory, or join an online discussion group in which neophytes and veterans exchange idears about free clinics. To receive additional information or to register with the Free Clinic Foundation, call 540-344-8242 or FAX 540-342-0220. -- A.Z.C.